We offer the finest quality of Corn Sorbitol in the market. Our Natural Sorbitol is processed from the organic maize making it highly nutritious in nature. Besides, when it comes to the leading Sorbitol Suppliers in the market, we are counted among the best. 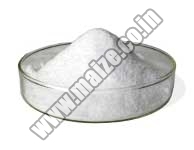 The company is also reckoned among the principal Sorbitol Exporters from India.